LANCASTER, PA, June 16, 2018 – Dutch Wonderland Family Amusement Park is hosting a birthday party for their mascot, Duke the Dragon, on Thursday, June 21 and Friday, June 22. 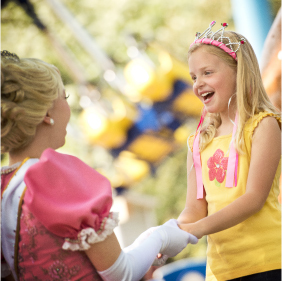 Guests will join Princess Brooke, the Knight of Safety, and Merlin for a dance party from 3:15pm to 4:30pm at the Celebration Theater at Dutch Wonderland. Other activities will be held at the party, including a birthday card signing for the guest of honor, games, and party favors. At the end of the event, a birthday treat will be served to each guest, both young and old, provided by Oregon Dairy Supermarket in Lititz, PA. Park hours are 10am to 8:30pm on both days of Duke’s Birthday Party. Event is free with paid park admission, and will be held rain or shine.